If you are a blogger or a reader of blogs, you know it's important to offer visitors a way to subscribe to receive new posts that are published. Feedburner has been the option I've used since starting my blog back in 2010. It was a great option back then and it's FREE which is really nice! when there are issues with subscribers not receiving new posts and other glitches, there is basically nowhere to go for help. Over the years Google has cancelled Google Reader, they don't offer support for Feedburner and no one seems to know what the future holds, so it's time for change. I have to admit that it's hard taking on another expense. Yes, if you weren't aware, it does cost to be a blogger. It takes a lot of time too. 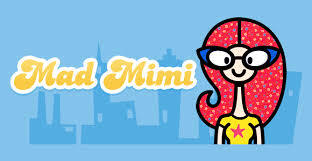 Too much time and effort to have so many subscribers not receiving the new posts they have subscribed to receive, so I've just switched to Mad Mimi. I am really excited about the change, so if you are a subscriber you will be receiving my new posts via Mad Mimi instead of Feedburner. You may have received some new posts more than once during the changeover, please accept my apologies! There were a few glitches but they should be cleared up now. This change will ensure we can stay in touch better and you will not miss out on things happening here at Dwellings-The Heart of Your Home. I wasn't sure when publishing that first blog post back in November 2010 that anyone would ever read my blog, so please know that I am humbled and very thankful for you! It's so hard to make switches on your blog for fear of what will crash and what will fizzle. I switched to wordpress about a year ago, and now my friends on blogger can't get my updates. Sigh . . .
Good for you for forging ahead! Good luck with change - and do let us know the pros and cons after you get a feel for your changing it up. It's never easy and I miss the simple days of blogging in many ways. GL!! 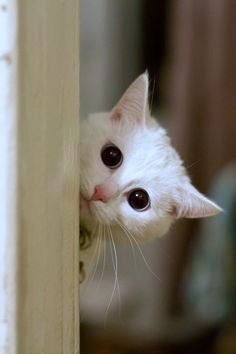 I am intrigued with your changes. I have been considering a change from Blogger as well. It's just too scary to think that they can take your blog away with no notice. I am a new follower. I, too, recognize that we need followers to make a dent in the Blogger world! Good for you, Cindy. I have been lucky enough to get your blogs on a regular basis but I read from my sidebar-so as soon as you post it goes up. Let me know if I will need to update that if it is going to "feed" differently. You know what a techdummy (I invented that word-thank you) when it comes to these things. Oh, never heard of such but I haven't gone that route yet, but may have to check into it. You have a lovely blog and it's always a treat to stop by. One of the rules of technology. . .Change is Constant!!! I am continually amazed at the beauty of your blog and its content!!! Being your follower is one constant you can count on, dear friend!! !